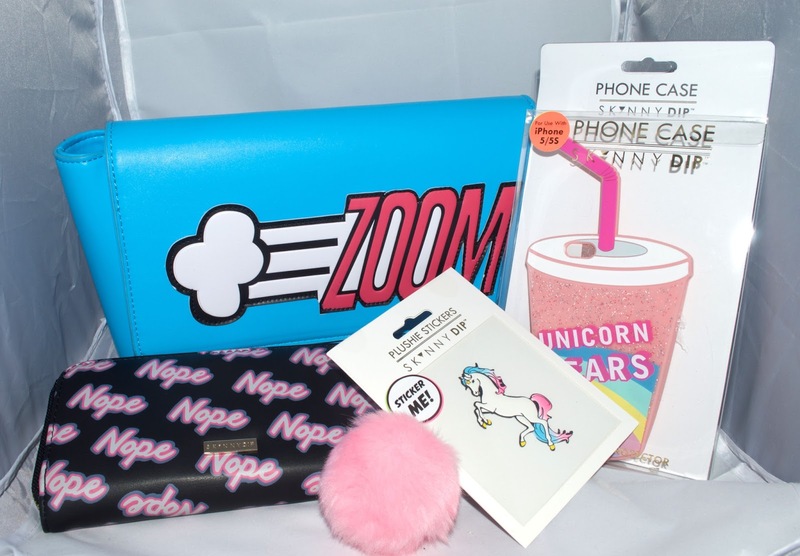 SkinnyDip London is one of my favourite brands for phone cases and purses, I have a small collection of phone cases which I change around often. A lot of their items have unicorn designs which of course interest me a lot. They have lots of other items like bags, headphones, phone cables and even stickers now too. I wanted to show you my recent SkinnyDip items, some was purchases, one was a black Friday sale find and another a Christmas present. My most recent purchases included a purse since my last SkinnyDip purse was getting worn and I wanted a new purse to start the new year off with. 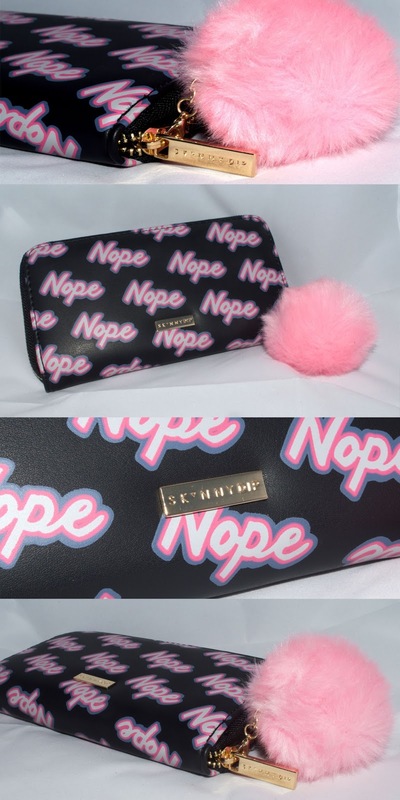 The purse I choose was the 'Nope Purse' which has the word 'Nope' in a drop repeat print all over the purse. The background is black with the text in pink, the zip around the purse is gold with gold zip pull on the outside and inside. Attached to the zip pull is a cute little pink pom pom which was another reason I brought the purse. Just like my old purse the design shape and features inside the purse are the same, card holders for 8 cards, 2 large holder spaces, one zip closure and 2 open sections, I find that these SkinnyDip purses give you a lot of room inside. The Nope purse is part of the new season collection on the SkinnyDip website and is priced at £15.00, students can get 20% off too. With my purse order I also brought a plushie Unicorn sticker which was just £4.00, I had thought of putting this sticker on my purse but the repeat print is too good to cover. I have a bag that I could stick it too or even my laptop case. My love of unicorns is huge so I'm pretty sure I can find a good home for this sticker. The quality of the plushie sticker is good, the ones I've had in the past have stuck really well and are made to stay in place, so make sure your happy with where its going before committing to sticking it down. I'll definitely buy more stickers from SkinnyDip because the designs are very sassy and cute! One of my favourite Christmas presents this year was from my Sister, she brought me the SkinnyDip Wing Blue Zoom Clutch bag. The colour of the bag is bold and stands out which is what I like, the design on the fold over part of the bag is also quite unique. The bag did come with a detachable strap even though its advertised as a clutch, which is even better for me as I hate carrying my bag around with me. Inside is a zip pocket and 2 pockets to store items in securely along with loads of other room for everything else. I'm pretty sure my sister purchased this bag from Selfridges as she put the Selfridges bag in with the wrapping, I can't find the bag online to link it but I did see it in the Trafford Centre store this week so they do still stock it. In the Black Friday sales I ordered a handful of phone cases amongst a new bag and some plushie stickers, I have one phone case I have yet to open. 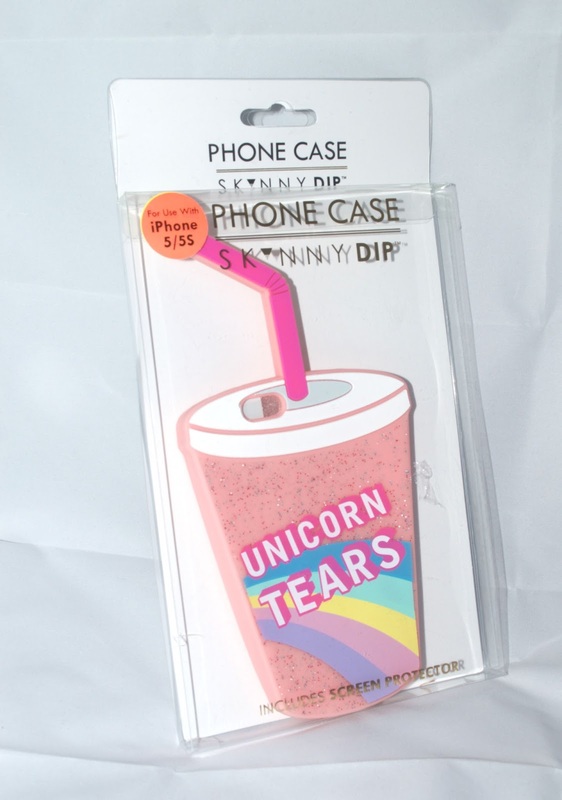 I've had my eye on this case since it was released, its unicorn themed so I wanted it, however the price tag was a little too high for me (£16.00). I kept putting off buying it which now I'm glad I did, it went in the Black Friday sale at just a few pound. I'm so happy I managed to get it, it is kinda big for a phone case but when I'm at home and not at work I can use it, it doesn't fit into my pockets so can't use it for work. My phone is fully secure in the case, I can access all the side buttons and screen easily just like I can with all my SkinnyDip cases. All SkinnyDip cases come with a screen protector too so that another added extra. 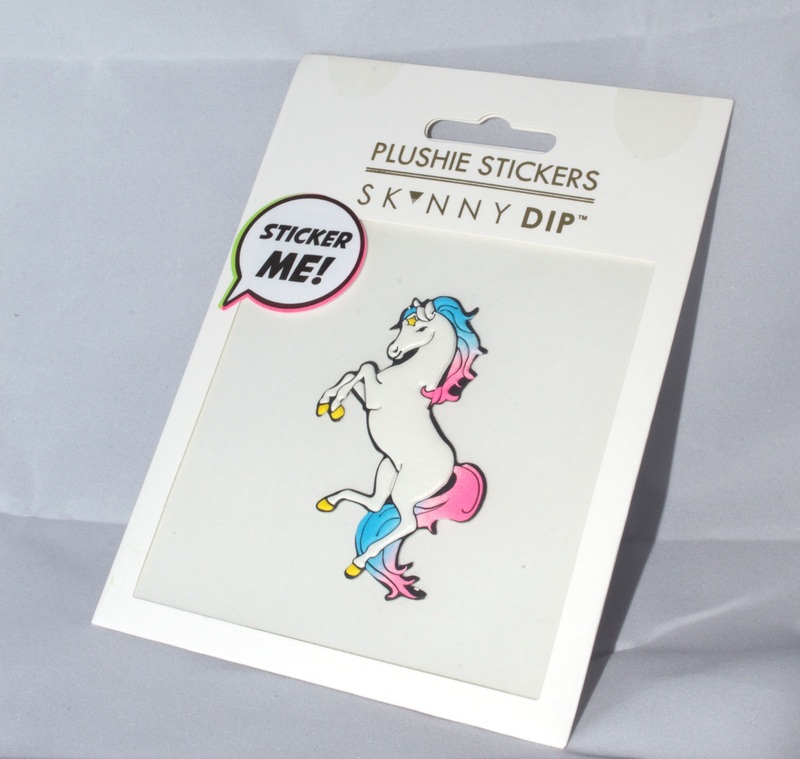 I'm consistently looking on the SkinnyDip London website at the new collections and sale section (they have really good sales), I have my eye on another unicorn phone case, that may well be my next purchase. P.S - I tried my new photography tent out for this blog post, please let me know what you think? I'm in two minds about it because I like using my backgrounds but it maybe good for product shots in my makeup posts. I can't stop buying phone cases from them haha! I got the new unicorn one the other day! 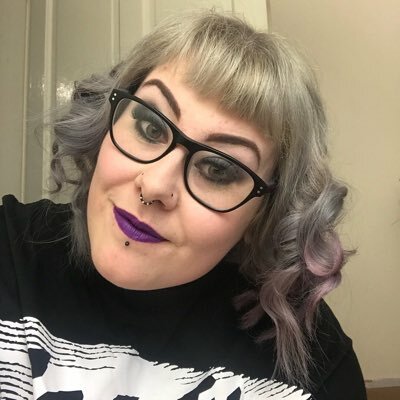 SkinnyDip is so quirky, I love it!